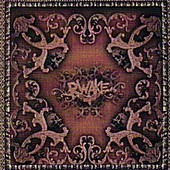 Crusty metal at its most visceral is the handiwork of Rwake, a sextet from Arkansas that employ two lead singers, but not in the Linkin Park way. Instead, while sinister stoner riffs flow through the twin guitar onslaught a la Judas Priest back in the day, one singer tears a lung out with screams of agony while the other follows suit, while armed with a sampler and a Moog for some texture. And texture is what you get throughout this uncannily long-titled album, as Rwake evolve from the dark acoustic guitar intro in "Sleep and Forget Forever" to sludgy dissonance on "Woodson Lateral" with the greatest of ease. If you're looking for an album to slap you around some while blowing your mind, then Rwake's latest release is the album to attain.